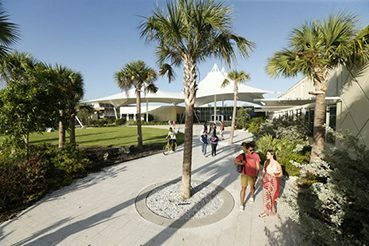 Eckerd College will consider qualified students who wish to transfer from a college that is accredited by a regional Association of Colleges and Universities. Full junior status may be awarded to students who have earned an associate of arts degree from an accredited two year college. Transcripts are evaluated by the Registrar for credit transfer only after a student has been admitted to the College. Thinking of transferring to Eckerd? Have a look at our transfer brochure. Curious about credit for courses from other schools? Fill out this credit evaluation form and we’ll let you know! Dean’s Report from your current or most recent institution reflecting good academic and social standing. If you are considering transferring to Eckerd College, the following information will help answer some important questions. A transfer candidate is anyone who has taken college class(es) post high school graduation at a college, university, junior or community college that has earned full regional accreditation. Applicants are expected to be in good standing at the institution last attended and eligible to return to that institution. High School students taking dual enrollment courses are not considered transfer students in the application process. However, the completed coursework will be considered for academic credit and advanced standing at Eckerd. Students also taking an approved “gap” year who have earned fewer than 12 hours of college credit will not be considered transfer students. Eckerd College has a “rolling” admission process. This means that we accept and deliver decisions on applications throughout the year without a true deadline. However, we recommend that you apply no later than one month prior to the beginning of each term. Once your application is complete, we will review it and return a decision to you within four weeks. Students who are accepted after November 15th for mid-year entry or after April 15th for fall entry will be expected to reply within 3 weeks of acceptance with a $400 non-refundable deposit. While we carefully consider all the information you provide us, your college academic history is the most important part of your application. We want to ensure your success at Eckerd and we need to be able to gauge your ability to succeed in college courses. We not only look at your grades, but also the difficulty of the courses you took. Your transfer essay is also an important part of your application because it not only gives you an opportunity to tell us about yourself, but it also provides us with a glimpse of your writing style. The essay is also an opportunity for you to explain any “blips” in your academic history. For example, if you had a low GPA one semester, or you received a poor grade in a class, it is a good idea to explain what happened in your essay. A student who has taken some time off of school should explain what s/he has been doing since leaving school. If you have not been in school for several years or did not do well academically at your last institution, we strongly encourage you to enroll in several courses at a local community college before applying to Eckerd. What if I previously applied and chose not to attend, but would like to transfer now? If you applied to Eckerd College during the past year, but chose to attend school elsewhere, you may have your old application reactivated. If you applied more than one year ago, you must complete a new application. In order to reactivate your application, please contact the Admission Office and ask that your application be reactivated. In addition, please send in the following paperwork. Essay – “Describe your important college experiences to date and your reasons for seeking to transfer to Eckerd College”. You may also include any other information that you would like our Admission staff to know now about yourself. You may also want to send a resume updating any activities or awards you have received since the last time you applied. What if I withdrew from Eckerd in the past and would like to attend now? An application to the Admission Office is not necessary under these circumstances. What type of aid is available to transfer students? Transfer applicants are eligible for renewable merit-based scholarships ranging from $8,000 to $15,000 annually. Scholarships are awarded at the time of admission and are based on the student’s college academic record. Phi Theta Kappa members are also eligible for a renewable $1,000 scholarship. You should provide proof, such as a letter from your Phi Theta Kappa adviser or other official documentation indicating your membership, in your application. Transfer students who will be entering Fall Term are also eligible for Eckerd’s Artistic Achievement award. Eckerd College recognizes artistic achievement in Music, Theatre, Visual Arts and Creative Writing. You need to have already been admitted to the College before you apply and all materials must be postmarked by February 1. Learn more about scholarships and aid. If you are considering transferring to Eckerd College and are curious about credit for courses at other schools, please fill out the Transfer Course Credit Inquiry Form. Upon your acceptance to Eckerd College, all official transcripts received will be forwarded to the Office of the Registrar for evaluation. We will mail you an initial evaluation showing the amount of credit accepted, your class standing, and the minimum number of Eckerd College courses to be completed for the degree. Once you have decided to attend Eckerd, completed all transfer work and sent final official transcripts, an updated evaluation is sent to you showing how your credit applies to specific degree requirements and the general education courses required for graduation. Shortly before school starts, a member of the Registrar’s office will contact you to pre-register you for your courses. Upon arrival at Eckerd, you will meet with your mentor to finalize your schedule. In order for a course to be considered for transfer to Eckerd College, you must have earned a C or higher. Students with an Associate of Arts degree will be awarded first semester junior standing. How will my credits transfer from a Florida public institution (2yr. or 4 yr.)? If you are transferring courses from a Florida public (2 or 4 year), you can see how they they apply to a major at Eckerd. You may also submit a transfer credit inquiry. How is my class standing determined? *Eckerd College courses are worth 3.5 traditional credit hours. * Eckerd will accept a maximum of 63 credit hours. In order to graduate from Eckerd College, a transfer student must spend at least four semesters and two short terms, including the senior year, in the College or in an approved off campus program, for a minimum of 18 Eckerd College course credits. Students transferring to Eckerd College with sophomore standing are considered exempt from Human Experience, foreign language, the first-year oral communication and first-year information technology proficiency requirements, and quantitative requirements. All transfer students must meet the following general education requirements: composition competency (i.e. writing portfolio), reflective service learning, oral communication and technological competency in their major or concentration, and Senior Capstone. Transfer students may count transfer credits toward fulfilling academic area requirements but must complete an Eckerd environmental and global perspective course. Eckerd College students are also required to attend College Program Series events and the number of events required is determined by the student’s class standing at time of entry. Please refer to our course catalog for greater details on Eckerd graduation requirements. Can transfer students take part in Autumn Term? In order to help you acclimate to Eckerd College, we have created several transfer orientation options, depending on your class standing. Orientation is required and will give you an opportunity to learn more about the College and how to best utilize our many resources. Incoming transfer students with freshman class standing will be treated as a traditional freshman at the College for the purpose of orientation. Eckerd College freshman take part in a three week program known as “Autumn Term” before the start of Fall Term where they take their first Eckerd College course and participate in orientation activities. Freshman transfer students will be able to choose which course they would like to take. Incoming transfer students with sophomore class standing will also be participating in Autumn Term. Sophomores, however, will be taking a class together that focuses on having students better understand their learning style and leadership skills. Incoming transfer students with junior class standing will be taking part in a three day intensive orientation. These orientation events are required and have been created to help transfers acclimate to the Eckerd environment and avail themselves to the all the resources at the College. This option is also appropriate for freshman and sophomore transfer students that will not be able to attend Autumn Term or non-traditional underclassman transfer students (e.g. those over the age of 22). How should I schedule a campus visit? A boat ride around Boca Ciega Bay to get a waterfront view of Eckerd. Living on campus is a major part of student life. 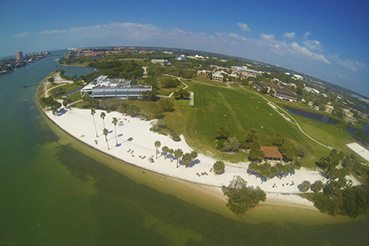 With over 1400 of our students living in the residence halls, Eckerd College is proud to offer several options when it comes to on-campus living. With twelve residential complexes, our residence halls range from traditional rooms with a shared common area to apartment style suites with incredible views of Boca Ciega Bay. There are lounges, courtyards, vending machines, laundry facilities, and study areas in all complexes. Transfer students can request on-campus housing on their application for admission, and will file a Housing Application upon depositing with the College. The Housing Application will ask a number of questions to aid our Residential Life Staff placement. For more information on on-campus housing visit the Housing website. What can I do with my Eckerd degree? An Eckerd College degree and the experiences you have while you are here provide you with a world of possibilities for future employment and schooling. Eckerd graduates work and go to school all over the world, and have limitless opportunities. Last year . 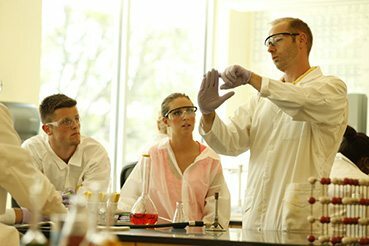 . .
Eckerd is also one of the top 50 colleges that produce future Ph.Ds. Recent graduates have attended Cornell University Law School, Harvard University, Yale University, Rutgers University, Iowa State University (Veterinary Medicine), Duke University, Emory, University of Chicago, and University of Queensland (Australia), just to name a few. Where do Eckerd graduates work? Recent graduates have taken positions at Raymond James Financial, Morgan Stanley, Franklin Templeton, Smithsonian Environmental Research Center, Yanayacu Biological Station in Cosanga, Ecuador, United States Geological Survey, Duke University Medical Center, National Oceanic and Atmospheric Administration (NOAA), Discovery Channel, Canterbury School (FL), Florida Humanities Council, Florida Fish and Wildlife, and Florida Park Services…just to name a few! You’ll also find Eckerd graduates working as authors, teachers, lawyers, physicians and as business owners. Eckerd graduates are also known for giving back the community, so it’s not surprising that many graduates have done Teach for America, the Peace Corps, or have taught English in developing countries. Check out the Office of Career Services for more information on internships, employment opportunities and resources. Contact our Coordinator of Transfer Admission any time you need assistance, or have some questions. We can also put you in contact with current students, and faculty. Simply let us know how we can help. If you are transferring courses from a Florida public (2 or 4 year) institution and would like to see how they apply to a major at Eckerd, please select a major below. Prospective transfer students can submit a Transfer Course Credit Inquiry Form to receive a general idea of what credits may transfer to Eckerd. Each of the links below will open a PDF.